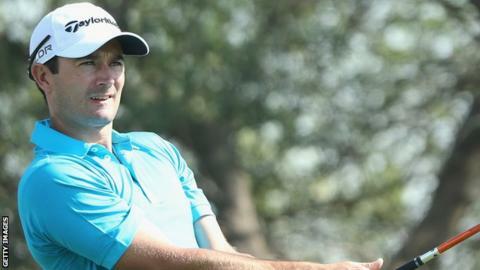 Gareth Maybin carded a disappointing three-over-par 75 in Sunday's final round of the The Championship event at Tampines in Singapore. The Ballyclare player finished the tournament at Laguna National on five under and in a tie for 54th. Chile's Felipe Aguilar fired a superb 62 to win by one shot on 22 under with Anders Hansen of Demark and American David Lipsky joint second. Irish pair Simon Thornton (68) and Peter Lawrie (69) finished 12 under. Maybin slipped down the leaderboard after starting the final round in tied 27th. The 33-year-old is currently 190th in the European order of merit standings with only the top 115 set to retain their cards at the end of the season. Maybin had failed to make the cut in his previous five European Tour events.